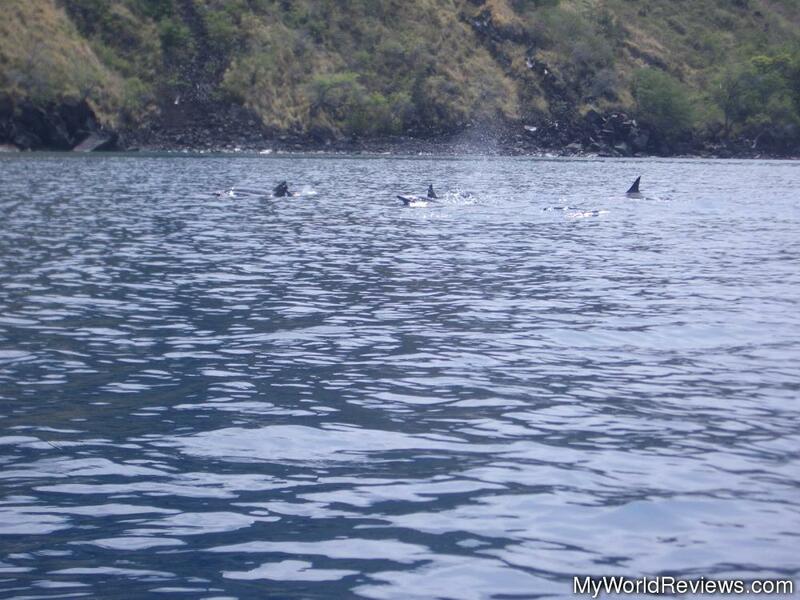 Kealakekua Bay is known as the place where Captain Cook was killed. There is a memorial statue here commemorating Captain Cook. The statue is not accessible by land - to get there, you will need to kayak over. The best way to do this is to park at the small parking lot marked in the above map, at the corner of Government Road and Puuhonua Road. There were locals there renting kayaks to tourists. 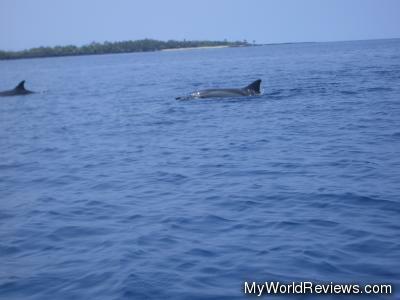 If you don't want to kayak, you can also take a tour boat to the area, but these often need to be arranged beforehand. After parking in the parking lot, you can swim in the bay, but the best snorkeling is far away. If you are a very strong swimmer (with flippers), you could probably make it over to the other side in 60-75 minutes. You can also just swim with the dolphins - this will also probably be a 90 minute swim, if you're a good swimmer with flippers. If you want to go across the bay to the monument or the best snorkeling location, the easiest way is to rent a kayak from one of the locals in the parking lot. It takes approximately 30 minutes to kayak to the other side of the bay where the monument and good snorkeling is located. 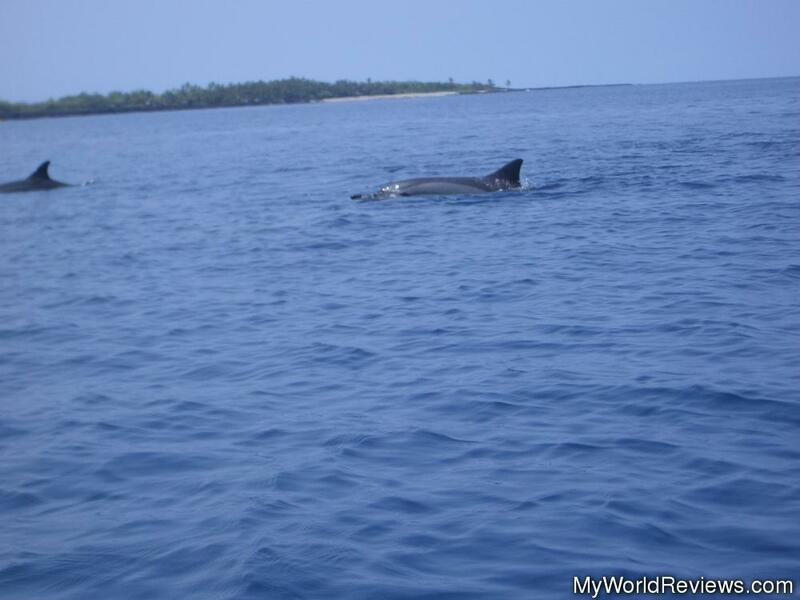 If you go early in the day, the dolphins will be out and swimming around your kayak. 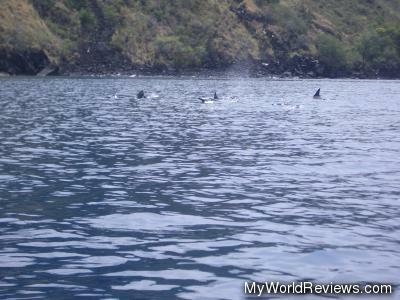 There are lots of spinner dolphins - when we visited, we probably saw around 20. They came right up to the kayaks! We were there around 10:30a. When we arrived at the other side of the bay, we were amazed at the amount of beautiful tropical fish we could see even from the boat! The water was just full of fish! Unfortunately, before we even got out of the boat, one member of our group stepped on a very sharp rock or coral, and cut his foot badly enough that it required stitches. Learn from our mistake - be VERY careful here (and everywhere) - the rocks can be very sharp. Going to the bay to swim or visit is free, although to get to the popular area, you will need to rent a kayak or take a chartered tour. Kayak rentals, for 4 hours, are $35 for a single kayak, or $60 for a double kayak. You could probably spend a few hours here, if you kayaked to the monument area, and snorkeled around there for a bit. Kayak rentals are often for 4 hours, so you probably don't want to stay much longer than that.